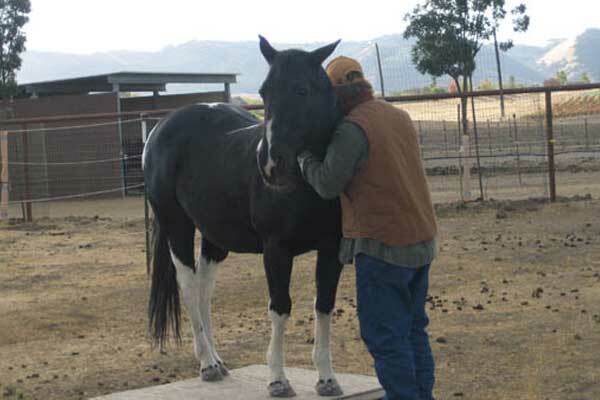 Indy came to the ranch when our original farrier (horse shoer) observed her being beaten. 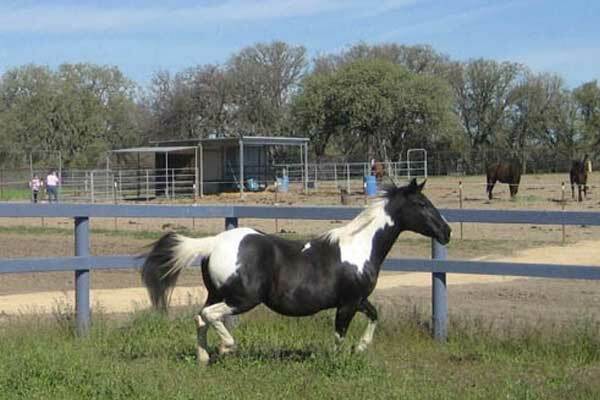 She approached the owners and said “Sell me this horse now for the money in my pocket or I will report you to animal control.” She and a friend then worked with Indy for a couple of years in an attempt to rebuild trust and although they made progress, Indy came to us with a list of tasks she could not or would not do. 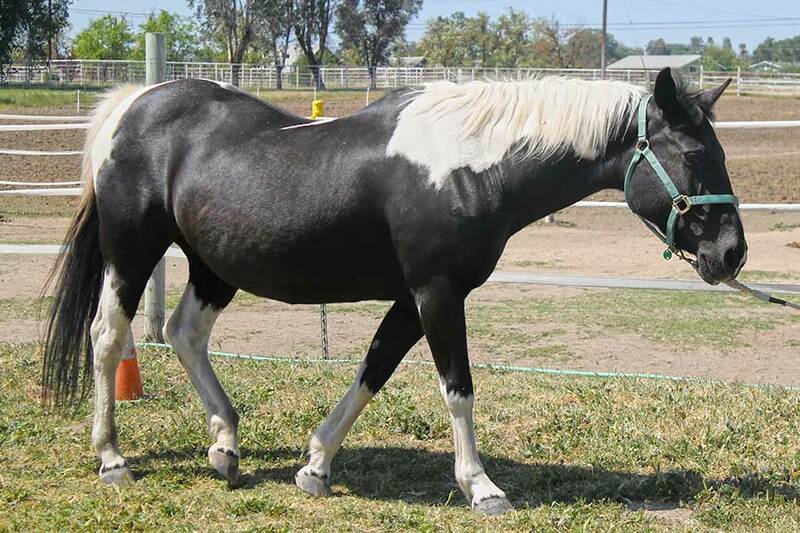 She was branded a “rogue ” unsafe and a horse that should be put down. We were contacted as her last hope and accepted her knowing she would need time. Indy, more than any of our horses has taught us to ask for what we want, be patient and consistent. She has become one of our safest ground horses. She is extremely sensitive and aware, with a deep sense of fairness and a willingness to try very hard. Her list of tasks that are hard for her is now very short. We have decided because of her age and swaying back that riding her is no longer important. She is an exceptional teacher and honest friend just as she is.